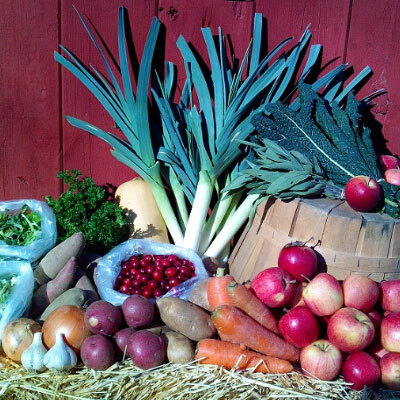 You can enjoy foods from Wolf Pine Farm all year long! Our fall/winter vegetable shares happen from October through March. Summer vegetable shares last from June through September. And meat shares can fill your freezer year-round. Each share is handled a little differently, so be sure to read the details for each one. Don’t be afraid to ask questions! We look forward to welcoming you to our community of shareholders. One distribution – pick your season(s)! Pick up at the farm or have it delivered to a centralized location in Portland or Kittery. A meat share is a delicious box of local, organically-raised meat. 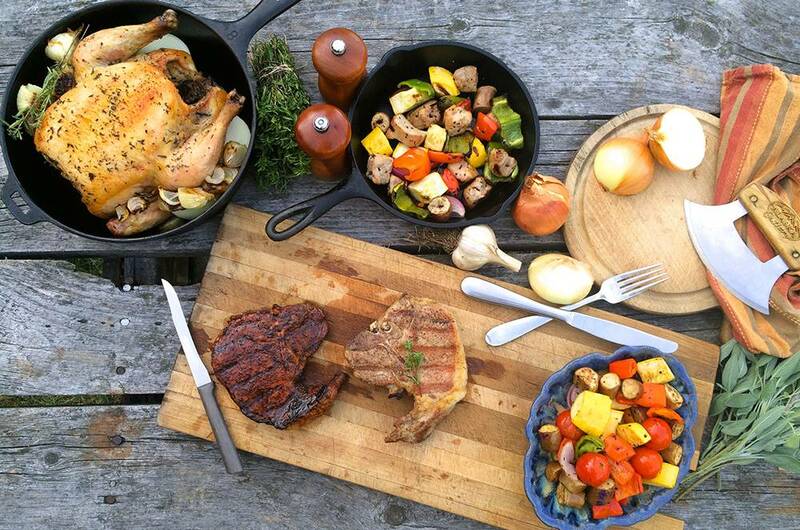 We’re talking grass-fed beef and steaks, sausage links, chickens, hot dogs, and other mouth-watering cuts of meat. Three sizes available for all appetites and freezer sizes. Shares available for Spring, Summer, Fall or Winter. 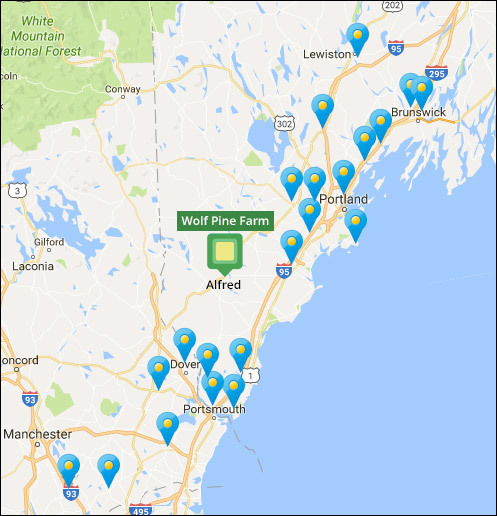 Pick up at the farm or have it delivered (20+ sites from Lewiston to Kittery, ME and Southeast NH). A fall/winter share is a box of local, organic foods distributed from October through March. We grow vegetables on our own farm and also work with more than 20 local farmers and producers to bring you an affordable, fun, and diverse box of foods – all grown and processed locally. 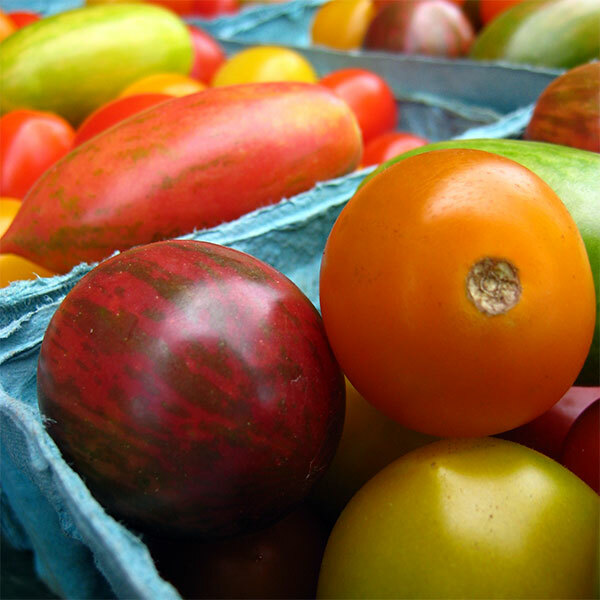 Pick up at the farm or have it delivered to a centralized location in Portland. The weekly share consists of cut salad greens, head lettuce, cooking greens (kale, chard, pac choi, etc. ), herbs (basil, parsley, cilantro, dill) and a little of everything else as each veggie comes into season: radishes, turnips, peas, carrots, beans, broccoli, zucchini, summer squash, cucumbers, tomatoes, peppers, onions, garlic, winter squash, and more!